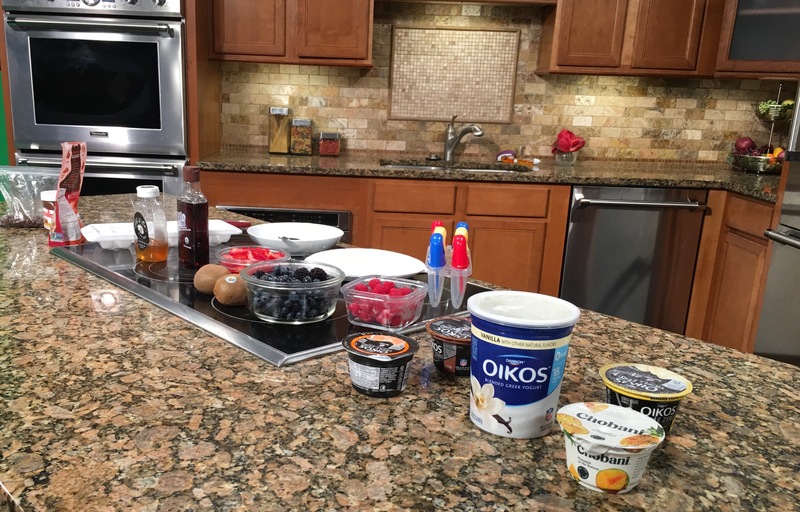 Frozen Yogurt Bites (and Fox 19) – Go There. Try That. There are so many things I love about summer. One of those is sweet frozen treats like soft serve. But, I’m also trying to eat cleaner and healthier so I needed to find an alternative to those ice cream cravings. It was important for me to make something simple, healthy, and tasty. What I love about these yogurt bites is that essentially, you only need two ingredients: yogurt and fruit. Everything beyond that is bonus. Lining up my key ingredients. When I started making these yogurt bites, I use greek vanilla yogurt, honey, and fresh fruit. Mix it. Scoop it on some parchment paper. Freeze. As I said, super simple. My friends said they looked like yogurt cookies. I love that it’s cold and refreshing. A little bit sweet and a little bit tart. Tip: If you want to put in a bit more effort, blend the fruit for a denser, creamier treat. 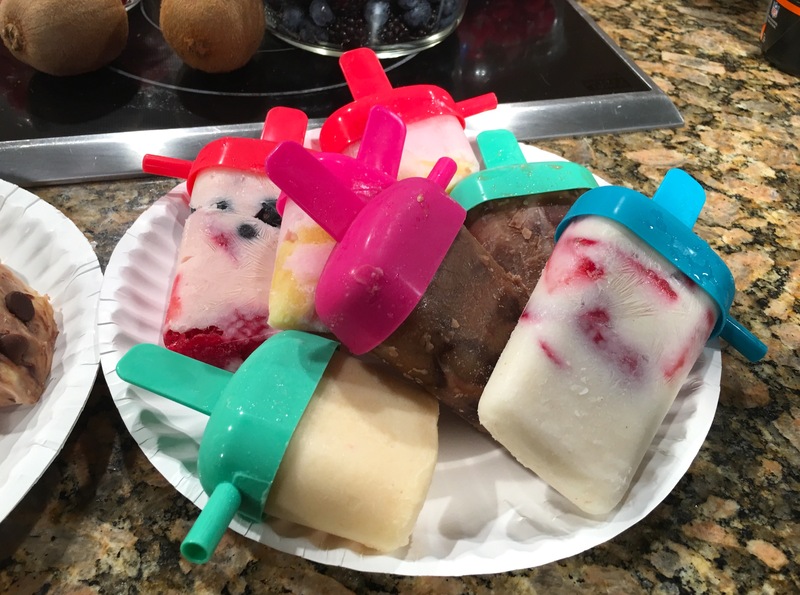 If you make popsicles, put them in some warm water for a bit to ease them out of the molds. Or, use dixie cups and wooden popsicle sticks! It’s so easy. Get a bowl. Dump in the yogurt. Add some honey or agave simple syrup. Fold in some fruit. Add in any other fun additions. Scoop onto parchment paper or into ice cream trays or popsicle molds. Freeze. Eat and enjoy. Check out the live segment on Fox 19 by clicking here. Fun fact: While I was hanging out in the green room, I ran into the owner of Sweets and Meats BBQ in Mt. Washington (future post) and the organizers of the Fairfield County Brew Trail (which I’m doing at the end of the month). You never know who you will see hanging out at Fox 19! GO THERE ( Your kitchen )! 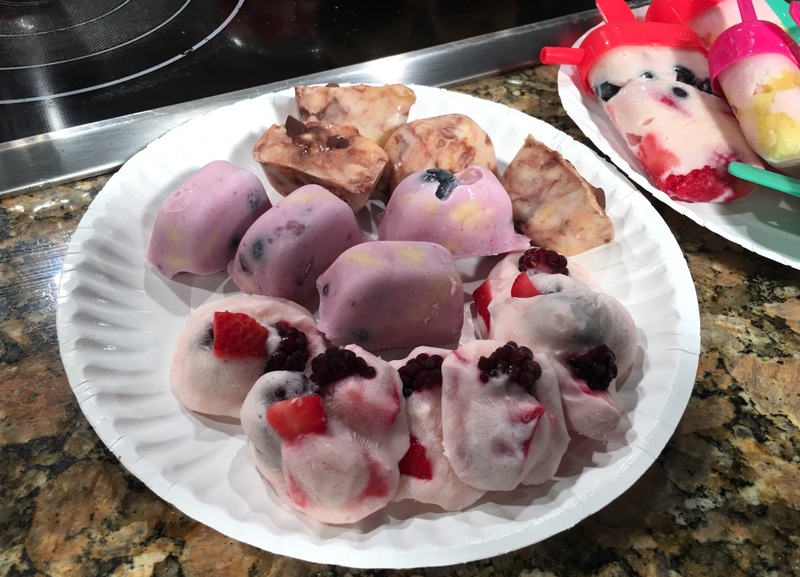 TRY THAT (Frozen yogurt treats)!